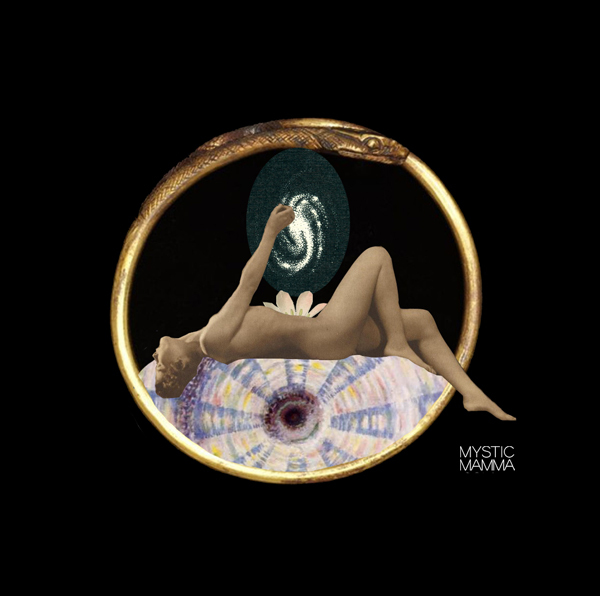 ~Total Solar Eclipse~ New Moon ~ SuperMoon~ In the archetypal waters of Pisces, we are asked to step into the Dreamtime to reflect, feel it all, cleanse it all and draw forth from the ocean of the collective unconscious the new dream that wants to be birthed. “All eclipses disrupt the Earth’s electromagnetic fields and therefore each of ours… A solar eclipse occurs at a New Moon when the Sun, Earth and Moon’s planes align with each other, gathering and focusing their energies into a new shape, a new resonance. “A new door opens, a new story begins. Just as a regular New Moon is a time to plant new seeds, a solar eclipse is a time to let go of old, stagnant energy shells, so the new life energy that’s been gestating within can begin to grow. “As we end this astrological cycle with a solar eclipse, the electromagnetic fields that have been resonating in all of us change. And we are changed. “Pisces is the last sign of the zodiac, a sign symbolic of the Ocean…As a symbolic state, Pisces represents what Jung calls the collective unconscious, the repository of all those things our culture rejects and ignores. “It holds the memory of all the life that’s been lived on this planet Earth, all the pain, sorrow, happiness, love, hunger, death and rebirth all humans partake in. It is the doorway to the realm of the archetypes of life and the container for all the stories, myths and fairy tales meant to guide us on our way through life. “As a water sign, Pisces is a natural Empath, taking on the feelings of others in a big way. Pisces ‘feel’ what others are feeling and often suffer along with them. “An important gift of Pisces is our creative imagination, our ability to listen through our imagination to the Earth herself as well as to other beings. “We spend so much time in our Waking Mind, our rational, deal with the outer worldmind that we don’t leave any time (except when we sleep) for our Dreaming Mind. “But it is our Dreaming Mind that knows the name of the wind and water, of fire and earth. The Dreaming Mind knows the world so deeply and intimately, and with so much love, that it sees the truth of Life all around us. “Most of us don’t spend enough time in the Imagination. When we do, we feed it the junk food of TV or the Internet or maybe a hearty meal of a good book, play or movie, but do we look to it to give us its wisdom about our life. “Do we stop to listen? Do we sit in revery and silence and drop our questions like a smooth stone into the calm, deep pool of it, waiting and watching the circling ripples come to shore to stand before us with the answers we seek? Then, do we accept those answers or do we let our waking mind rip it apart? “This is the perfect New Moon to work with your dreams and visions, with art and dance, music and writing… Water forms a doorway to other realms, a way of being which lets us shape-shift into our true, original Self. “We can be made whole again when we embrace our past, who we have been and what we have made of ourselves. Our true Self has been over-shadowed with a false story concerning guilt, unworthiness, money, power and hubris. “The end of the myth of rugged individuality is either a recognition that we are all equal yet unique or the disillusion that I am better, chosen, special. That seems to be the theme of this year’s US presidential elections. “This solar eclipse New Moon in Pisces takes us down to the dark depths of primal oceanic consciousness to rebirth us in our new stories. The primal womb is pierced with the divine fire of life. “Mercury and Neptune are together in early degrees of Pisces…Neptune, in his own home sign of Pisces, stirs the waters and creates the images that arise in our collective unconscious. “Neptune is about to leave the first decan (first 10* of a sign) of Pisces, where it has stirred up the collective unconscious so we can see and feel all those people and experiences we reject and ignore as irrelevant—women, children, the Earth, people of color, kindness, the common good, the imagination etc. These rejected parts of our society want in—they want to be included in this new age. “These first years of Neptune moving through his own sign (the most Piscean decan), has stirred up the deep longing and sadness that’s lain in the collective unconscious throughout the Age of Pisces. Now as Neptune heads into the 2nd decan (from 10*-20*) which resonates with the sign of Cancer, it’s time for us to Mother a new story into the world. “All life is sacred. We are living in a sacred moment and sacred place…As we are beginning to see this new society and way of being, the old ways are rising to the surface in their most unconscious and virulent forms. The hatred and bigotry and bullying of the worst of the patriarchy is facing us. And we have to face them down. “It is time to Evolve. “This Solar Eclipse New Moon in Pisces is challenged by Saturn in Sagittarius, pushing us to decide what we believe and stand up for it. “…This is the way we bring together the rich spiritual vision of Neptune in Pisces and the inner authority and spiritual courage of Saturn in Sagittarius that helps us to stand up for that vision. “This last New Moon solar eclipse ends an amazingly intense year during which we experienced the repercussions of the 7th and last Pluto/Uranus square that occurred last March 2015—finishing up that astrological year with a bang. “That revolutionary/evolutionary energy has resonated within us and woken us up to the state of our world. Look at how people are stepping forward and taking back their lives and their communities and their countries. We haven’t seen this kind of activism since the 60s. “People are engaging in the world and standing up for what they believe in, thereby changing the collective story. And there’s need for more and more of us to be doing this. “Now we have to engage our passion in the world and stand up for what we believe in, to take back our world from corporate interests all around the globe. The care of children and elders, social justice, equality, healing, creativity, business, etc. Whatever calls to you on a deep level is the archetypal energy resonating within you. “Our shadow is showing and it wants to be redeemed. People are afraid and go into that oppositional standpoint that says it’s either him or me. “But the new story says it’s him and me and her and the Earth and the sky. This is the new story we can bring to the world. It’s up to all of us to create and sustain a new collective story. “This astrology is important personally- especially if you have lots of Pisces or if you have anything around 21-22 degrees of mutable signs. But it’s also very important collectively. We all need to wake up and see where we have buried our heads in the sand. “We need to see what is going on on planet earth and what is happening right before our very eyes but we cannot see or do not want to see and so we pretend it is not there. This can be a powerful aspect for awakening! “…An eclipse tends to magnify what it touches and with it mere degrees from Chiron and the South Node- the personal, childhood, past life, ancestral and collective wounding and pain energies are UP BIG TIME. “There truly is no escaping this- even though a couple glasses of wine, several hours on the internet or a new romance may FEEL like it helps you escape. In truth these wounds and pain will stay there submerged for a bit and they will come back out with greater intensity later. “So the Solar Eclipse and the entire month of March is a time to choose to stay present, awake and aware– to not go back to sleep, to not bury your head in the sand, to not stay in denial about your past and your sole responsibility for it that has brought you to today. “We are all being called to FEEL IT ALL. To feel our Divinity and our humanity, our joy and our grief, our wholeness and our wounding, our peace and our conflict, our kindness and our anger, our confidence and our shame. “We are being asked to feel it all within us and without. And this is an intense experience- there’s really no getting around it. We need to feel it for ourselves and for others and for the world at large! “Pluto in Capricorn is not about tearing down those who are greedy and toxifying our planet- but instead to lift up and support those who speak for the planet and all her people. “With a healing theme in mind, consider that this is the month of a solar and then a lunar eclipse bracketing the powerful Sun at Equinox. It’s one of the biggest astrological months of the year. “An eclipse can release monumental amounts of energy. We are in the Dream Time at this Pisces New Moon. And it is here that we can dream a new dream for the collective as well as for ourselves. “You may find yourself drifting and caught by distraction, unable to focus. Your psyche is pulling you away from the linear world and into the poetic and boundary less imaginal field. This is no time to resist. “It’s a highly creative time when the power in the imagination is boundless and can be used to form the future in the quantum fields. “…With Ceres also within degrees of the Sun and Moon in Pisces, our relationship to the Earth is prominent. Ceres is a Mother Goddess related to the cycles of the Earth, especially agricultural cycles of fertility, growth, harvest and rebirth. “Coming into balance with nature and honoring the Mother is part of the solution for our ailing society. At New Moon, take time to bless your planet, Gaia, Pachamama, Mother Earth and offer her honor, respect and love for all her gifts of nourishment and support. “This is a total eclipse of the Sun visible in eastern Asia, southern China, but primarily in Indonesia, Sumatra/Borneo, also northern Australia, No. and So. Korea, Japan, Pacific Ocean, western Alaska. May we be in the direct path of our hearts and fully open to the reset these energies bring! Blessings to us all! Important and timely post. Thank you. Thank you for the reminder to cultivate compassion now. Beautiful and supportive words from all. deeply honoured its my mothers and my birthday on the 9th…..with deep love to all…..especially the mother…..the land. Such beautiful, inspiring artwork…my favorite thus far! I will spend today following the pull of my imagination. maybe do a bunch of somersaults and drink lemonade…who knows. Blessings to all, happy Piscean times. Beautifully expressed, true so true, undeniable are ripe for right now! Thanks, and blessings be bestowed. Love these curations! Thank you… And Happy New Moon Eclipse! I don’t really understand all of this.. but I’ve always felt the change and have been feeling this for a few days now.. everything I’ve read so far has definitely hit home with me in many ways.. my 31st birthday is tomorrow. For the past 2 weeks or so I’ve been back with an ex of 5 years.. so far so good.. we both had some growing up to do..so hoping all goo vibes please! How would you express this event if you realised that it was actually occurring in Aquarius not Pisces? time to speak with the heart for the voiceless ones, we are together in this, humans and animals. much love and blessings, thanks for such an inspiration! So amazing! one of my favorite thus far! Wow this is timely. The veil is lifting I feel we’re in the midst of a great shift and it’s not about each one of us, it’s about all of us. It’s been intense lately but I’m so thankful it’s finally occurring. Thank you mama. Also being a Pisces moon I wonder if this is hitting me extra hard. The emotions of the current consciousness moving into a new one feel like being in labor (-: I feel so drawn to the political revolution that is spinning. My birthday is the 8th: how exciting. The energy of change is very strong for me. Negativity is being purged and healing and love are honestly calling me. It’s crazy how it’s lining up with all this. This is a lovely reminder to ground, ground, ground and get ready to release that which is no longer serving us. Thank you for curating this information. I absolutely LOVE your art! This is so aligned and beautiful. my Pisces self resonates with these wise interpretations of the upcoming new moon and eclipse…. beautiful and inspiring – thank you all! I’m a Pisces with Venus in Pisces (not too far away from the eclipse) and you have no idea. My life is changing in a dramatic way. I am feeling things I have never felt before. In the last week I have actively been doing new things I would never do (let alone dream of) before. I have opened a door into a world in which I am stepping with a shaking body and am on a non-drug high that is hard to describe. All I’ll say is that it is unorthodox. But boy, it makes me feel so alive. Pisces. I tried to study astrology but I couldn’t get past that if you actually look at they sky, the moon, and planets aren’t where the astrological charts say they are. Of course you can’t see the stars behind the sun but for those lucky enough to see the solar eclipse, the stars behind the sun will be those of Aquarius. Thank you. I’m looking forward to this healing energy. There’s been a lot of daydreaming with my partner and I at the moment. Changes are on the threshold and we are apprehensive, but welcoming. I am hopeful that during this time we find the courage to honestly move away from what no longer serves us, and have the integrity to step into the new. <3 thank you! !this give me hope and guidelines! !I love it, now i will make a new life and forget the things i keep on keeping! P.S. You have the best graphics on your page! Thank you Mystic Mama ,I’m experiencing all of the above amazingly mystical! Thank you!As an intuitive I really feel the deaph of the waters today and decided to take the day off and not do any readings!Blessings! Thank you. Very inspirational and I now have an understanding of the turmoil inside of me. My gut tells me that things are going to change in a big way. Thank you… this makes so much sense to me… I’m definitely feeling it all and resetting. Even if I knew nothing about astrology I would know something strange was in the air. Hubby and I just started counselling. Just got settlement on the home loan,but our parents dont seem to be very happy for us. New kitten going crazy. Old cat growling at us(out of character). 2 1/2 yr old son cutting new big back teeth and grumpy as. Old money spending patterns needing dramatic change.. yes IMPORTANT BIG LESSONS needing integration into our cosmic souls/ human bodies. But the great thing; the planets supporting our deep desire to better ourselves, be ourselves and love ourselves for the benefit of ourselves, family,wider community, mother Earth and the universe. Love the wisdom and empowerment in your articles and THANK YOU so much. I have been a mess these past two days! I’ve been trying to get away from the negative energy but there’s no place to hide! I’m a Leo Sun/Cancer Moon/Libra Rising and I must say there is just so much energy being felt at this point. I cry and get moody like crazy (my monthly flow is regulated). I don’t know what I’m supposed to be transforming into or what new thing is supposed to be born.. Ive been working go myself though. my best to everyone. What a collection of very important messages! Very powerful! We finally got there when people are ready for true message instead of oversimplified easy- to- sell one ! No more wishy washy quash spirituality wrapped up in some kind of superficial positive bumper stickers! True “Light Workers ” are very different and I am glad we are finally getting messages of true spiritual power instead of self-selling marketing of yoga businesswomen and businessmen ! FINALLY we are getting to that point! The Time is Now ! Thank you for this insight and loving sharing of what is happening to us all. May we all wake up. I am feeling the changes and seeing the signs so strongly. Holy freakin’ WOWSERS! This just completely blew my mind because it is so spot-on with the awakening energies that are sweeping through my life – the ultra-bright Light and Love, the painful shadow, the play between the illusory duality. Just. WOW. Pause. Breathe. This is truly happening on a planetary level. OMGoddess!!! AMAZING!! Thank you so much! I have been having these karmic dreams where I solve things from past lives that were somehow bothering me in the present. I have been having all these intense emotions, and my crystals are calling me like crazy. Everytime I touch a stone it turns hot hot hot, so I guess my energy is going crazy.